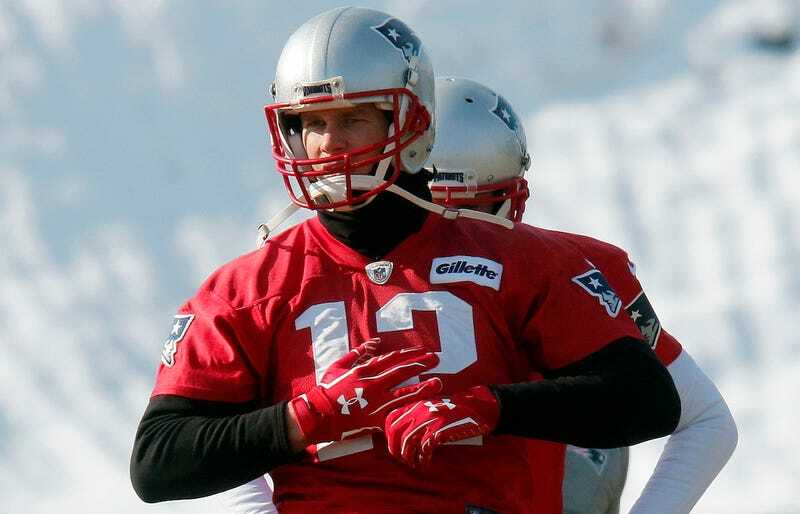 Tom Brady wore the gloves again. It is two days before the Patriots play in the AFC title game against the Jaguars. Q: Do you have an update on Tom Brady’s status for Sunday? BB: Yeah, we gave out the injury report yesterday. We’ll update it today. BB: We’re getting ready for Jacksonville. Q: Does it look like Brady’s playing status might be a game-time decision? Fact check: It is indeed Friday. A source said Brady’s hand “should be OK” for Sunday’s game, while another source acknowledged that it could affect him “slightly” in the game, but Brady is moving forward with the belief that he will be able to carry out his role effectively.